June 29th, 2007 is one of the most important day in the history of iOS: Apple launched the first version of iOS. That day was also the day the world saw the 1st gen iPhone. Back then, iOS was still called iPhone OS because it was originally used for iPhone only. Now, as iOS matures, the iOS is now on the front line for ruling market around the globe. Each year, Apple releases a new version for iOS in the summer event: Apple WWDC (Apple Worldwide Developer Conference). Let’s take a look back into the history of iOS to see how did Apple make like iOS today. It was 2007, Steve Jobs was standing stage introducing the iPhone and iPhone OS together. During the launch ceremony, Jobs called this OS is “OS X” because it shares the same receipt with the Unix version for Apple computers. A year after Apple announced the iPhone SDK so developers can write new app, the company mentions the word “iPhone OS”. The first iPhone was one of the most important device in the history of technology as it has changed the way smartphones are taking shape, changing the way communication between users with phones and mobile devices in general, as well as a prelude to the mobile boom period. The design of the iPhone as well as many components in the iPhone OS has set the foundation for the development of a modern user interface – an interface with finger-friendly, prettier and easier to use. Particularly with the iPhone OS, it was found that a handset, an entertainment device and an Internet powerhouse can completely packed into a single device, and you can remove that device neat in your pocket, and you will really want to use it in daily life. July 11, 2008, Apple introduced the iPhone OS. This is the first time App Store appeared on the on a mobile operating system, and background-running services related to positioning have also been added with the iPhone 3G that has a GPS connection. Apple also announced MobileMe – based suite of cloud computing is the precursor to iCloud later. If iPhone OS 1 marks a big bang with mobile device market, the iPhone OS 2 marked change in the way users access to the software. App Store opens up a whole economic sector, a fertile business opportunities to all programmers worldwide. App Store allows app users to find many more, download the right app that you need more, as well as easily download the bought software when changing to a new equipment. A month later, Android also launched the Android Market, is a precursor to the Play Store today. iPhone OS 2 also introduced for the first time the Apple SDK. Previously, applications for Apple’s iPhone made in house or private partners, back then developers could distribute only web app. The Apple SDK made creating app to become easier and more efficient. iPhone OS 3 was a major update of Apple’s operating system for their mobile. 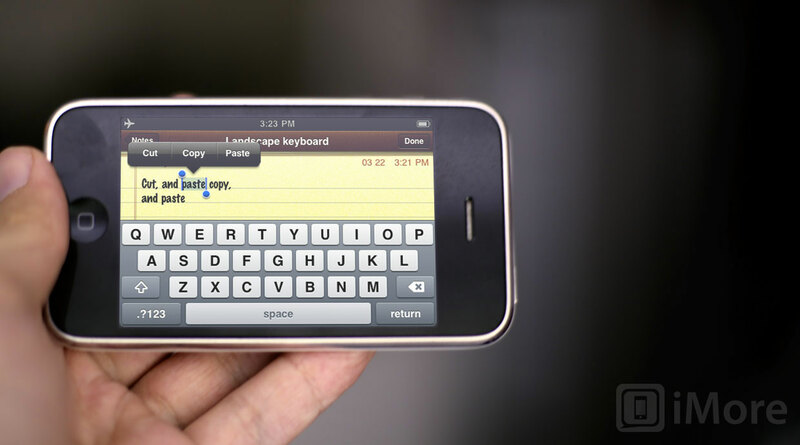 These include changes such as copy / paste, MMS, Spotlight search, mobile network sharing. This was also the first time push notification can be used by third party applications. iPhone OS 3, though there were a lot of changes but a little small additions to make the platform more complete. iPhone OS 3 also introduced a stylish new design that Apple called skeuomorphism, reproduce something beyond reality through the app. The skeuomorphism clearest appeared in New Stand and Notes, inherent design looks like a newsstand and a handbook. iPhone OS 3.2 was the first version of the iPhone OS to support the iPad, Apple’s first tablet was born in 2010. What’s new in iOS 4? First of all it is the name. Apple has officially dropped the word “iPhone” and only keep the OS only, and add the letter “i” in front of the suit naming its products. This is also a logical move as the iPhone OS now not only for the iPhone, but also for iPad. Cisco IOS substance was previously registered protection for a phone line, so Apple must renegotiate with Cisco for the right to use this brand. Additionally, iOS 4 also marked the first appearance of FaceTime, video calling service by Apple. FaceTime so far has been one of the reasons that so many people still decide to stay with the Apple ecosystem. iOS 4 also included management feature multitasking, something that users have long requested and rival Android also available. iOS 4 can be considered as one of the most important iOS version since it defined the software development cycle that Apple continue to use for many years afterwards. For example with FaceTime, Apple has built up a new future for video calls on mobile devices. Applications such as Skype or chat apps on computers still take several years before reaching a stable enough so that the user can spend them on your phone. With iOS 4, Apple also began to stop support for earlier iPhones, including the iPhone and iPod Touch early versions. Apple is the first company to do this. Many iOS generations later, we continue to see the Apple phased out these devices for which it is not suited to run the new OS version. iOS began and evolved gradually into the functionality that we are still in common use today: Notification Center, iMessage, Siri. Steve Jobs was very proud of the performances on the stage of Siri, the time that the mobile device control with natural language is still a very new thing, people mainly just use the command structure, but the new machine understands. Therefore, the screen of the Apple Siri demos on stage seemed incredible things, while Google Voice or Microsoft’s Cortana had not even appear. Android Google Voice then just get the basic commands only. The Siri can do some work on behalf of the user really is a strange idea in 2011. MobileMe earlier toolkit was also replaced by iCloud with more functionality, greater supports synchronization between Apple devices. iCloud can be viewed as the first shot of Apple to enter the market in cloud computing and began to put the concept of cloud to their users. Apple iOS 6 was the version with Apple saying goodbye to Google, affinity between the two largest corporations for many years officially ended. iOS 6 no longer had built-in YouTube and Google Maps again, it did not only that Google users also had a surprise. To replace Google Maps, Apple launched its own map: Apple Maps. Unfortunately, Apple Maps had too many bugs and problems related to the accuracy of the data, and was criticized a lot. Things were so serious that Tim Cook stepped and gave users an apology for giving something incomplete. As for Google, after knowing the YouTube app and your map is no longer built-in into iOS, they build their own app. Google Maps and YouTube were since developed its own app with the direction of Android, even design language in the same way Google and not depend on Apple anymore. In iOS 6, Apple also began to introduce the concept of widgets but it is still very simple and similar to Android’s widget. Opening is Quick Status widget to post to Facebook and Twitter. Much later the new company’s open widget API for third-party applications used together. Siri also be upgraded to become more powerful and helpful than ever. After years of pursuing stylish design skeuomorphism, finally Apple has completely changed the look of iOS 7 with flat design, simpler and no longer try to mimic real-life objects anymore. This flat trend can also be seen on Android and Windows Phone, though Apple does not perfectly flat like Google and Microsoft. iOS 7 is like a breath of fresh air blowing on users iPhone, iPad and iPod Touch because they get to experience something completely new and different from what they’ve seen. Besides the redesigned icons, Apple also put translucent elements on the iOS interface, additional Control Center for quick access to frequently used connections and includes AirDrop to send files to each other (previously only AirDrop Wear). iOS 7 new Photos app also, iTunes Radio and new arrangements for multitasking interface. However, the new wind does not mean users are also interested. Many users and experts criticized the interface of iOS 7 is more colorful and stylish, the effect of tilting motion icon also makes some people feel uncomfortable. After refreshing the look of the operating system, Apple returned cycles iOS update with changes to increase the usability of the platform. In particular, the company is focused on story allows developers to be more access to system components. This is the first time Apple opens the possibility of using the keyboard to third parties, as well as allowing developers to do widgets and share files between applications together. With iOS 8, Apple also launched TestFlight, test programs for app developers. Earlier, the test app on iOS was limited because it requires equipment beta app installed must be registered with Apple Developer Account account. And with TestFlight, simply install an application to be completed. Apple not only produced mobile devices but also computers. It is worth mentioning that the company strictly control both these ecosystems, so that when Apple removed the wall between iOS and OS X is the story take place sooner or later. With iOS 8, Continuity featured switching between app from your phone to computer and vice versa. Function calls, reply to messages from your computer is also integrated into iOS 8. With iOS 8, the gap in the ability to customize between iOS and Android has been significantly narrowed. iOS 9 focused on three things: improve Siri, Apple Music and 3D Touch. Apple got a new update for Siri called Proactive, it is integrated into Spotlight to suggest content, or application you use. Notes, Transit, News also received huge updates. iOS 9 also supported split-screen multitasking for the iPad. This was also a firm feature debut focuses iPad Pro, Apple’s first tablet with a screen on the 10 inches. iOS 9 seemed to be the way that Apple chasing rivals. Windows 8 has divided the screen in 2012, Samsung has implemented split-screen function on not only their own but also tablet device. Proactive, the genitive works like Google Now. However, iOS 9 also important change was 3D Touch. This new feature was initially available for the iPhone 6s and 6s Plus. iOS 10 is still a work in progress, however, beta versions had been released this year. iOS 10 can be viewed as just another round of upgrade for iOS 9, mainly to overcome the missing features of the platform and allows Safari to run two windows, lock screen is completely new design, system notification system is made slightly easier on the eyes and brings watchOS direction. In particular, Apple focused heavily on adding new functionalities to iMessage chat platform, such as sending hidden letters, for a small chat frame styles are whispering or speaking loudly as yelling, support expansion functions by a third-party app… All that Apple wants to evolve iMessage so it can compete with other OTT chat apps like Viber, Facebook Messenger or WhatsApp. If successful, this will also be a place where Apple can earn money through the sale of advertising and selling content. Apple also began focusing more to the subscription model instead of buying the app once. The airline believes that this model will help developers earn more money and maintain better relationships with customers. Previously the company divided by 70% of revenue for developers and retained 30% for the subscription package, now company policy adjustment since it was 2 onward, Apple retains only 15% of the money. Search functionality and advertising in the App Store is also deployed on the App Store iOS 10 to help better compete with Google Play.